Need Auto Glass or Windshield Replacement? Broken auto glass can happen in an instant, becoming a major safety issue. With our convenient auto glass replacement services we’ll have you back on the road quickly. We accept all insurance claims. We warranty all our glass and installation. 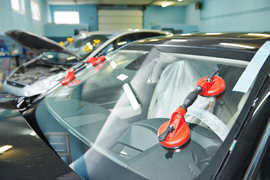 In addition to our auto glass replacement we also offer window tinting. Call today to set up an appointment.